If your child’s birthday is rapidly approaching and you’re looking for some cheap and cheerful children’s party ideas with which to celebrate their big day, the following guide can help. Full of imaginative themes, party games and birthday treats, by following these fun yet affordable children’s party ideas your child can enjoy a magical, memorable birthday that won’t break your bank balance. One of the best ways of reducing the cost of a birthday party is to limit the number of guests invited. If you ask your child to name 10 or 15 guests that they would most like to invite to their party then you can arrange a more affordable event. Not only will this type of close-knit party be cheaper and easier to chaperone, but it will also mean that your child can enjoy a party surrounded by their best friends rather than their entire class. If you plan your child’s birthday party to begin mid-afternoon then you can dramatically cut down on food and drink costs. By asking your guests to arrive from 2:30pm-3pm onwards you will not have to prepare lunch for all your guests and instead can focus on dishing up an array of tasty yet affordable party snacks. The advent of the digital age is a saving grace for organising birthday parties. For no cost at all you can quickly and easily send themed email invites to all of your guests without having to expend your limited party planning funds on paper invites. Hosting your child’s birthday party at home may seem like a daunting prospect but it can actually prove extremely useful because you won’t have to rent an expensive venue. What’s more, hosting the party at home will grant you access to a wide range of spare food, drinks and supplies. You will also be able to lay out decorations and carry out last minute party prep the night before in order to save yourself a great deal of stress on the actual day. Can’t decide which activity your child would prefer? Then why not treat them to a few, all neatly packaged into one very affordable day of fun? At Outdoor Pursuits there are loads of incredible activities to make the most of, from wall climbing and hovercrafting, to archery and zorbing. One thing’s for sure, the kids won’t forget their day in a hurry and your only problem will be them pestering to come back time and again. There is nothing children love more than dressing up, and fortunately there are many fancy dress themes around which you can base your child’s birthday party on, without breaking the bank balance. For instance, you could host a pirate party wherein you create cool eye-patches and safe swashbuckling swords with some cardboard, felt tip pens and string. Alternatively you could host a rainbow party where each child comes dressed head to toe in their favourite colour. These fun and imaginative fancy dress themes will enable your child and their guests to indulge their creative side for a fraction of the cost of renting or buying expensive costumes. By stepping outside of the box and creating your own party decorations you can throw your child a fun yet affordable birthday party. All you need is some coloured card, tissue paper, string, a few cheap balloons, and a Internet connection in order to make all manner of flower garlands, bunting, number signs and unique place settings for your child’s birthday party. To ensure every child has something fun to eat you should opt for a mix of savoury snacks and sweet treats at your child’s party. Some of the most popular children’s party food includes; crisps, popcorn, mini pizzas, mini muffins, sausages, garlic bread, ham and cheese sandwiches, fairy cakes, sponge fingers and cheese cubes. Many of these party foods are discounted at supermarkets so it will pay to shop around the week before your child’s birthday party in order to capitalise upon special offers, rather than bulk buying everything the day before. Although party stores often stock a diverse array of serving plates and table clothes, you can pick up plenty of vibrant and amusing party plates and napkins from pound stores and large supermarkets for a fraction of the cost. Rather than buying a shop-bought birthday cake it is often much cheaper to bake your own. Fortunately, there are a multitude of baking tutorials available online, which provide easy-to-follow children’s party ideas and cake recipes. By utilising these free online resources you can save money and at the same time provide your child with a delicious and colourfully decorated birthday cake. At birthday parties parents often feel pressured to fill the end-of-the-event party bags with expensive treats. However, there are several cheap children’s party ideas that you can follow to create exciting party bags without them being expensive. For instance, why not bake a selection of colourfully decorated creations and hand each child their own hand-wrapped cookie or cake parcel? Or why not offer each child a book wrapped in colourful tissue paper? You could even place a piece of birthday cake, a few sweets and some colouring-in activities inside a homemade paper party bag with each child’s name colourfully written on the side? The possibilities are endless. 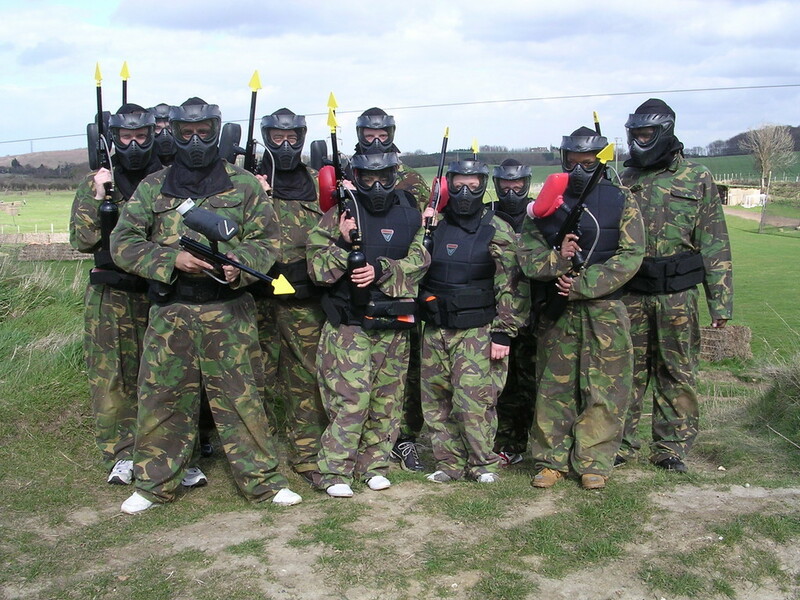 For male teenagers in particular, paintballing is a fantastic day out they won’t forget in a hurry and guess what, it’s very affordable too. What’s more, you won’t have to worry about the kids making a mess of your home and the clean-up job required afterwards, instead simply setting them free to have a brilliant few hours. There are loads of great packages to choose from, so it’s easy to set a budget and ensure sticking to it. There’s even food served up on the day too, so you won’t have to worry about this either. 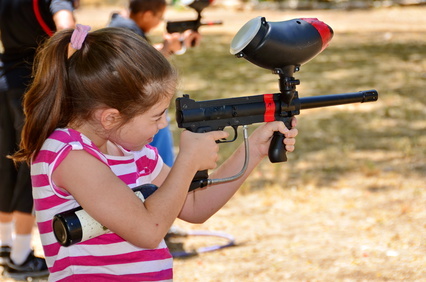 If you are fortunate enough to organise your child’s birthday party on a warm sunny day, there are plenty of outdoor games you can arrange which will not cost you a penny. By placing some cardboard boxes on their sides and arranging a line of cones throughout your garden or local park you can organise all manner of adventurous obstacle courses and relay races for your child and their party guests. Whether you are hosting a rainbow, safari animal or prince and princesses party, face painting is a popular activity at any child’s birthday party. Moreover, it can also be carried out in a cost-effective manner. Simply purchase some child-sensitive face paints from your local pound store or toyshop. After doing so, you can find a vast array of children’s party ideas online tutorials that teach parents how to quickly and easily create face paint animals. By mastering two or three of these animals before the party, you can provide face painting fun at your child’s birthday party without going over budget. Sometimes you just can’t beat the classics! Rather than hiring a clown or expensive entertainer you can arrange an action packed traditional games birthday party. From organising ring toss and skittles activities with some plastic bottles and cardboard coloured rings, to playing “pin the tail on the donkey”, musical chairs and even pass the parcel with some small toys and sweets, these classic games will keep your party guests amused and enthralled for hours on end for a fraction of the cost of hired entertainers.